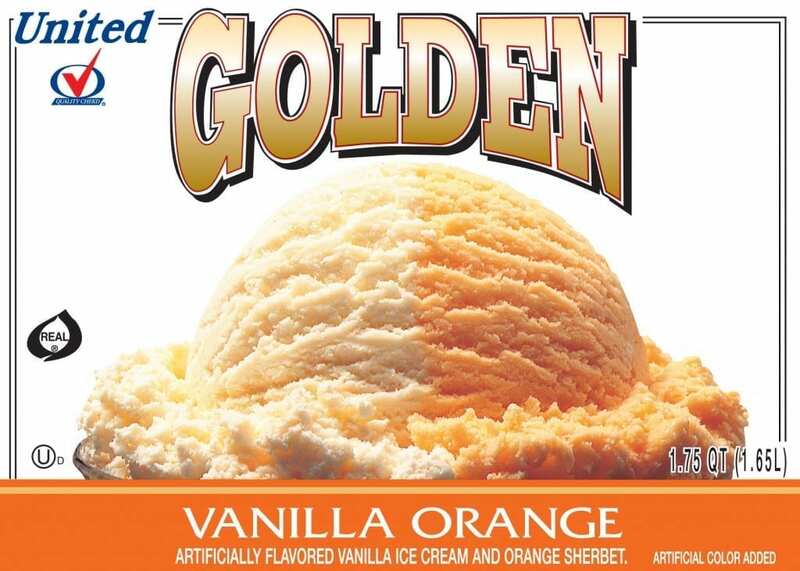 INGREDIENTS: ORANGE SHERBET: WATER, CORN SYRUP, SUGAR, HIGH FRUCTOSE CORN SYRUP, WHEY, ORANGE SHERBET BASE (ORANGE JUICE CONCENTRATE, ORANGE PULP, NATURAL FLAVOR), MILKFAT, CITRIC ACID, GUAR GUM, MONO- AND DIGLYCERIDES, XANTHE GUM, POLYSORBATE 80, LOCUST BEAN GUM, CARRAGEENAN, ANNATTO (COLOR), YELLOW 6. 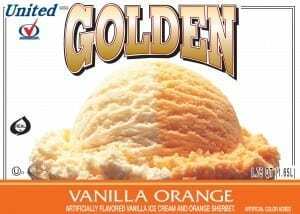 ICE CREAM: MILKFAT AND NON MILK, CORN SYRUP, HIGH FRUCTOSE CORN SYRUP, SUGAR, WHEY, PROPYLENE GLYCOL MONSTER, MONO- AND DIGLYCERIDES, GUAR GUM, CELLULOSE GUM, CARRAGEENAN, ARTIFICIAL FLAVOR, ANNATTO (COLOR). MANUFACTURED IN A FACILITY THAT PROCESSES: PEANUTS, SOY, TREE NUTS, WHEAT.